Podcast and digital audio consulting. Jeff Ulster is a leader in podcast and digital audio strategy, with more than 20 years experience in the media industry. Looking to grow your audience or launch new programming? What's your digital strategy? Ulster Media can help. 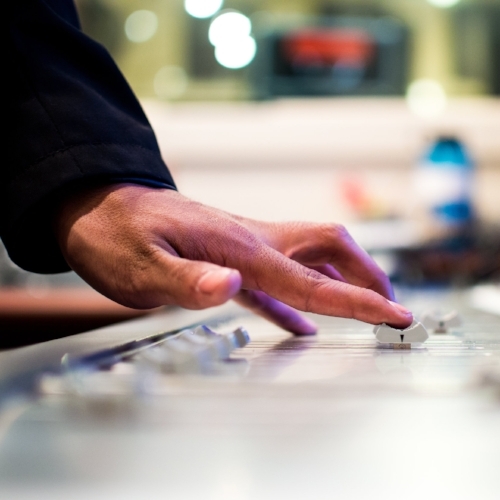 More than 20 years experience telling compelling stories on audio and digital platforms. Need a website or app? Jeff's led teams that develop best-in-class digital products, reaching millions of users worldwide. Ulster Media produced 3 episodes of The Atlantic: Rethink podcast The Future According to Now, supported by Fidelity Investments. The Webby award nomination is in the Best Branded Podcast or Segment Category. This week, insights about podcasting as a “sensational" and social medium. Also - good news for lovers of audio fiction! Today I’m going to share three posts with you from this week that provide some practical insight for podcast makers about music use, mics and time spent listening. This is a very short survey to help you articulate what kind of help you need with your podcast initiative.